An official website launched and announced a new Youkai Ningen Bem series. Titled Bem, the anime is slated for this year. The original anime, titled Youkai Ningen Bem, was produced by Daichi Doga and aired in Fall 1968. 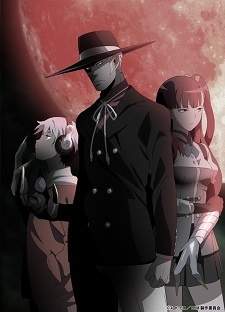 A second anime adaptation by Studio Comet aired for 26 episodes in Winter 2006 under the title Youkai Ningen Bem: Humanoid Monster Bem. Both series rebroadcasted in Fall 2017. The series also received a live-action drama in October 2011, followed by a movie in December 2012. A two-season short anime series aired in Fall 2017 and Spring 2018 to commemorate the series' 50th anniversary. It also received a live-action TV series and movie, airing in October 2011 and December 2012, respectively. Surprisingly this seems pretty good. Looking forward. I'd like to be able to be excited about this but the staff is not the best, the studio is questionable. I love Range Murata's designs but this project doesn't give me much confidence, I'll check it out whenever it airs. The staff looks pretty awful and the synopsis is meh. I am starting to get bored of all these anime revivals lately, it shows how anime creators are running out of ideas. Terrible looking staff, but who knows. There's always a chance that a series could mark that studio's time to shine. I'll watch the first episode or two and see what I think, but I'm not gonna say I'm exactly looking forward to it, lol. So it's a revival of a 1960s series. Wouldn't know that from reading this article. I like the mood so far. Just from the art it looks a lot more promising than whatever Oretacha Youkai Ningen was supposed to be. I hope it does well and maybe sparks some interest in fansubs for the older series. More old series always welcome. Another older franchise revived. Cool, will give it a try. It is not related to Youkai Watch franchise. Because the source doesn't mention about "revival", just "brand new" anime. Wow, they completely changed up the designs. They are more of what id personally be into though. I'm interested!